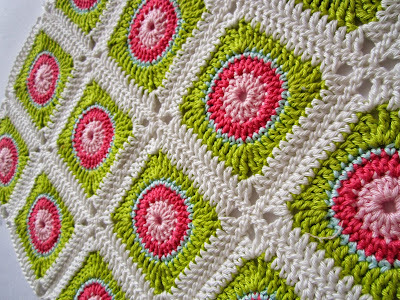 Some cute free patterns by Tula Pink. 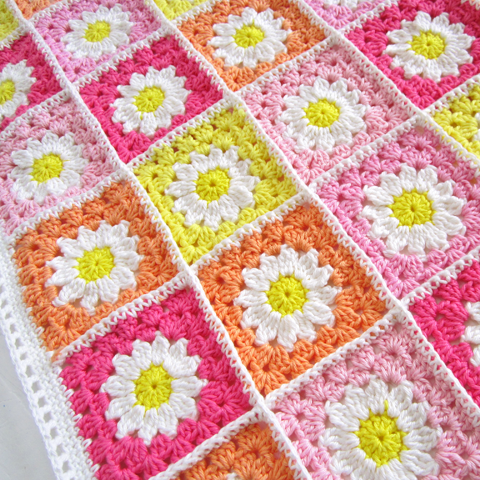 Jennifer has a heap of great crochet tutorials on her blog. 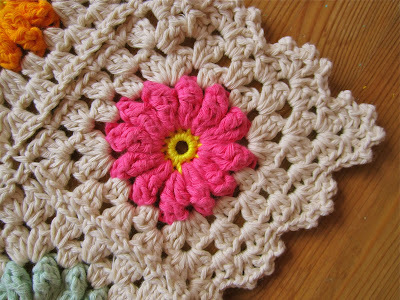 Another great little idea is her cute crochet edging. And, look at this circle in a square. So cute! 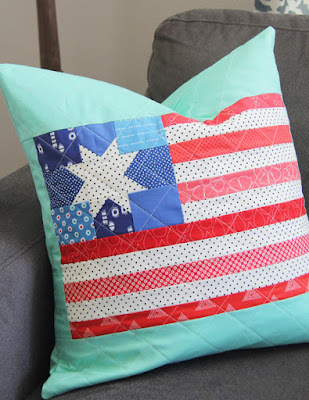 Strips simply sewed together, cut and flipped to make a quick and cute quilt.